Over the last few weeks, I've spent at least 15-20 minutes a day sketching. After posting some pictures on Instagram and Twitter, various people asked questions about the books and courses I'm using. It's easier to tell you in a single place, so here you go. The post contains some affiliate links. To get into the habit of drawing every day, I'm working through the ebook version of You Can Draw in 30 Days by Mark Kistler. This book is a great refresher for me. I learned the 'fundamental laws' of drawing a very long time ago and whilst many are still second-nature, it's good to remember why they work... and to get much needed practice as I haven't drawn since my Art A-level over 20 years ago. If you've never drawn before, I would also recommend this book - it is easy to follow and does not assume any prior skill. Simply work along with each lesson which is a small bite-sized chunk. After a lesson there is a 'bonus' assignment giving you the chance to practice the skills learned so far. You can let your imagination run wild with these, if you have the time and inclination. Converse Ballpoint Illustration Print. Schooldays Excercise Book revisited by AndreaJoseph on Etsy. Andrea is one of the teachers on Sketchbook Skool, which looks amazing and is on my 'wishlist'. Unfortunately is costs $99 and is therefore beyond my budget. As I mentioned before, I've enrolled in Paul Heaston's Sketchbook class on Craftsy which is much more affordable. Unlike the book, this is a proper 'class' with assignments that take longer, so I prefer to work through the lessons at a table when I have good conditions for drawing (although this class can be accessed on-the-go too). This means I'm working through it more slowly, using a bigger sketchbook and art supplies. 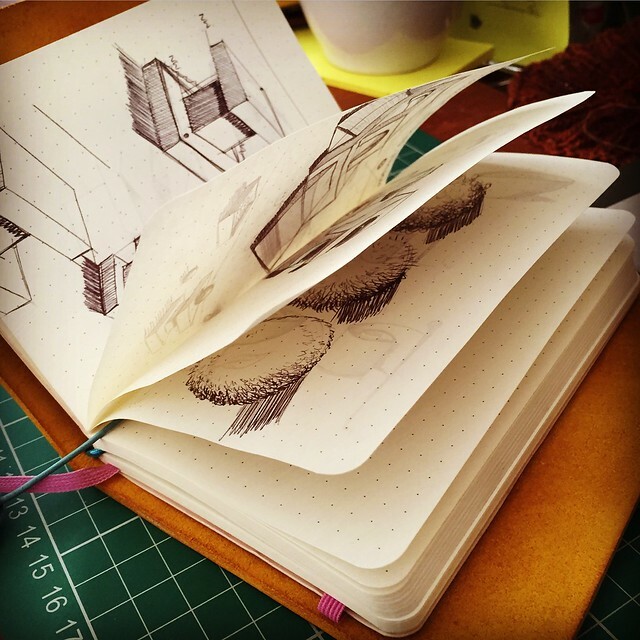 The course covers various different sketchbook options, how to use different media - from pencils to watercolour and pen and ink - and shows lots of examples from Paul Heaston's own sketchbooks which are fascinating to see. I'll keep you posted with my progress. As well as these different 'courses' you may have seen pictures from my 'Wreck This Journal' which is a whole load of fun! I won't repeat the details here as I've already written about that - you can find the post here. *For my fellow journal addicts, you can see I've put my notebook in a custom notebook cover from Yarn Tree Studio so it's a pleasure to carry everywhere and is well protected. I think that's covered all the outstanding questions, if not leave me a comment and I'll get back to you. Your drawings are wonderful. I keep forgetting to buy a drawing book. Hot diggity, I just realized I have time while waiting in car for the school gate to open. I usually read. I'm taking that Craftsy class as well, I really like the instructor and his work is amazing. 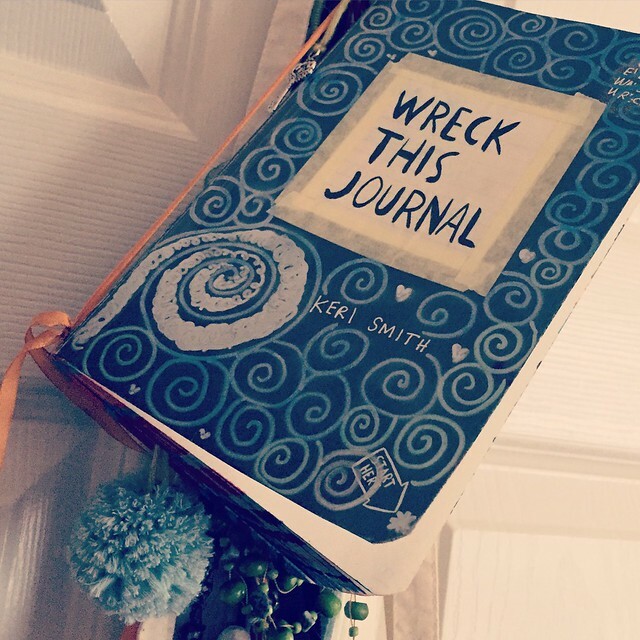 Also, you inspired me to get a Wreck this Journal from one of your previous posts ... I just recently got it, so I haven't done much.